This building, the first of a two building developments is a striking condominium tower with spectacular views of Lake Ontario and the city skyline. The complete project will incorporate townhomes and a collection of low and mid-rise buildings too. Developed by the Canadian arm of the globally-recognized Greenland Group, Lakeside Residences is slated for completion in 2020. These East Bayfront condominiums will occupy a plot of land just west of Lower Sherbourne Street. 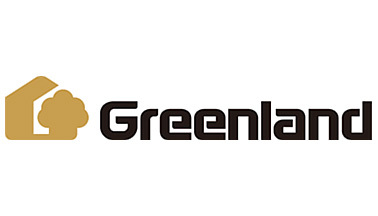 The project made major headlines when it was announced that Greenland Group – a prolific development firm with roots in Shanghai and projects all over the world – had purchased the underutilized land from two of Toronto’s top developers. Featuring striking architecture and one of the city's most transformative waterfront pockets, it's also immediately next door to the site of an innovative new "smart city" that has just been proposed by Google's Sidewalk Labs. 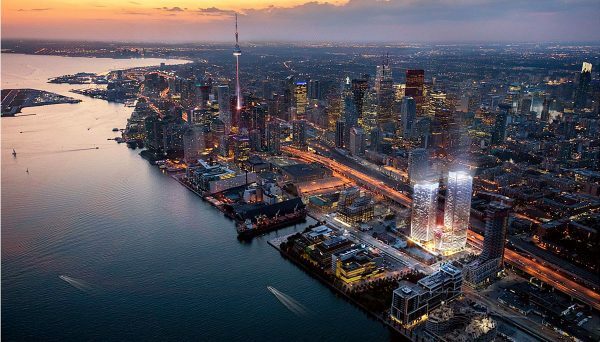 Most recently, it’s been revealed that hariri pontarini architects will be designing the project, a visionary, Toronto-based architectural firm, responsible for some of the most high-end condominiums, houses and cultural institutions across the globe. This new building will rise 49 storeys and will occupy the eastern portion of the site. 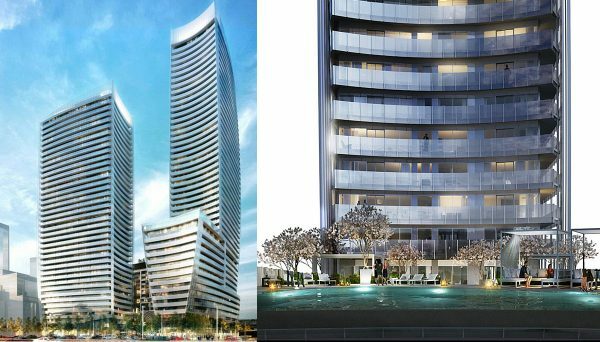 The design is set to compliment its sister building Lakeside Lake Suites which will rise 39-storeys. The buildings will be connected by a shared podium which will form one sculptural element. The lobby's timeless design combines high grade natural elements to create an intimate space that resembles that of a boutique hotel. Sleek marble tiles and crafted wood panels provide a sophisticated conceive desk. The attractive contemporary appeal of the residences begins from the the lobby and extends all the way to your suite. Suite interiors will be designed by one of Toronto's best interior decor firms, Cecconi-Simone. Featuring floor-to-ceiling windows, designer kitchens, expansive bathrooms and dazzling views of the lake, these units will be as functional as they are gorgeous. Amenities include an outdoor pool and sun deck that overlook the harbour and feature private cabanas. A fully-equipped gym, a party room with kitchen and dining facilities, and a children's playroom are just some of the amenities designed to make this a complete community. This project saw the introduction of a tree-lined, multi-use promenade created along the waterfront, now popular with walkers, joggers and cyclists. In addition, a new streetcar service was added, which now connects Union Station to the East Bayfront area. It scores a 9o on its Walk Score and a perfect 100 on its Transit Score. The condominium site is also immediately next to the new "Quayside" community, proposed by Google's Sidewalk Labs. This exciting project will see 12-acres of land turned into a technology and urbanism-inspired hub that includes residential, office space, new streets and a new headquarters for Google. It's primed to make Toronto a global technology destination.